True Grime concerns the duo, Pepper and Harley, as they attempt to prevent the fairies from doing further damage to humans; their task force is called True Grime. Claude is the antagonist. 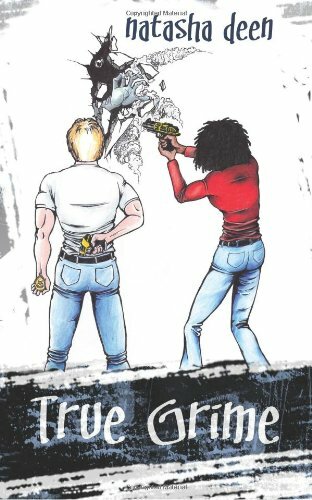 He is portrayed as truly evil-no conscience, no compassion, etc... Pepper and Harley are sent to stop Claude in his murderous tracks. The story takes off from there. The characters overall were fun to get to know. Pepper's reactions to the human world were amusing as she had never really experienced the human world. She was a different kind of character-inquisitive, intelligent, and idealistic. Harley was amusing as well. Whenever Pepper began to "feel" for him, she would immediately go on the defensive and their little interactions will amuse the reader. The secondary characters were not focused upon overly much, only the antagonist, Clause, was truly a major part of the story. Overall, this book was fast-paced and interesting. This book is recommended to adult readers. I really enjoyed True Grime. I thought Natasha did a really great job writing it. Great review! You can check out my review for it on my blog if you like! I will :) Thank you! Thanks again, Krystal, and have a great holiday season!